On Christmas Eve the White House announced in a statement that President Trump is open to a "potential meeting in the future" with Turkish President Recep Tayyip Erdogan. The statement noted Turkey's president had formally invited Trump to meet in 2019, though nothing specific or definite has been planned. This comes after it was revealed that in a Dec. 14 phone call between the two leaders Trump said the US was "done" with Syria. Trump's senior aides later revealed the decision for a "full" and "immediate" pullout of the some 2000+ American military personnel training and advising Kurdish-Arab SDF forces in north-east Syria was made after the phone call, and curiously the U.S. State Department approved the sale of $3.5 billion in patriot missiles to Turkey the day after. A senior White House official said Erdogan gave Trump his "word" that Turkey would finish off ISIS. "In the call on Friday, Erdogan said to the President, 'In fact, as your friend, I give you my word in this,'" the senior White House official said. While giving a speech last Friday Erdogan revealed some of the details of the call, saying, "During a conversation I had with Mr. Trump — he said 'ISIS, can you clear ISIS from this area?'" Erdogan recalled further: "We did it before, and we can again as long as we have logistic support from you... And so they began pulling out." 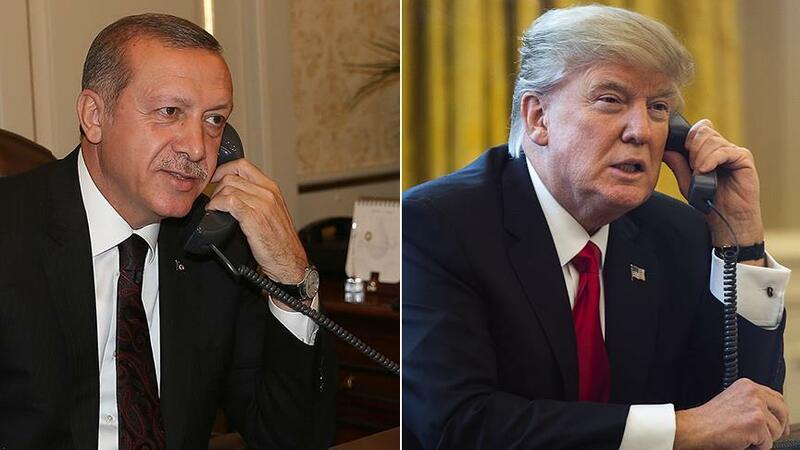 Erdogan added: "Within the framework of the phone call we had with Mr. Trump, we have started preparing plans for operations to clear the ISIS elements still within Syria." Trump, for his part, subsequently confirmed in a weekend tweet: "I just had a long and productive call with President Erdogan of Turkey. We discussed ISIS, our mutual involvement in Syria, & the slow & highly coordinated pullout of U.S. troops from the area. After many years they are coming home. We also discussed heavily expanded Trade." Meanwhile a major Turkish Army and Turkish-backed rebel assault on the key Syrian Kurdish stronghold of Manbij is imminent. Turkey has been reported over the past days to be mustering large forces, including hundreds of vehicles and troops surrounding the northwestern Syrian town, around Manbij. Turkey has long demanded US advisers to withdraw and to clear the town of armed Syrian Kurdish groups, specifically the YPG, which forms the core of the US-backed SDF but which Ankara sees as an extension of the outlawed terror group, the PKK. The convoy of around 200 vehicles, including howitzers, armored personnel carriers and artillery, advanced to reinforce the military’s presence in areas close to Manbij, TRT said on Sunday. They were joined by forces of the Free Syrian Army, which has backed Turkish offensives against Syrian Kurdish militants, state-run Anadolu Agency said Monday. However, as a potential bloodbath is set to ensue, on Tuesday morning Turkey's foreign minister announced the United States has agreed to complete a previously discussed "roadmap" for the removal of all Kurdish militia fighters from the Northern Syrian town before American forces clear out. 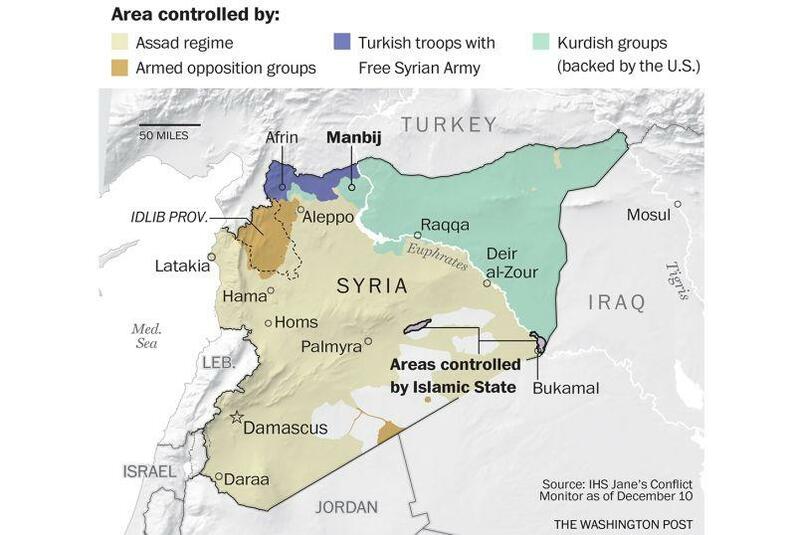 Though the US side has yet to confirm Turkey's latest claims, it appears the handover of Manbij to Turkey has begun following prior threats from Erdogan to "cleanse" the region of all Kurdish resistance.